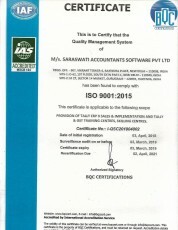 Incorporated in the year 1999, the journey of saraswati accountants began and progressed with software services and solutions. 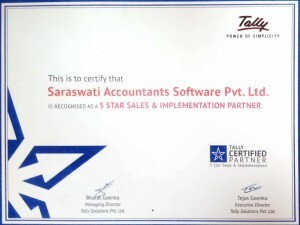 Being one of the top rated and among leading five-starrer certified partners of Tally, saraswati accountants believes in perfection and customer centric approach. At our organization, we have portrayed an excellent track record in Tally ERP sales, consultancy, customization, implementation, corporate training and other wide variety of services which are inseparable part of Tally’s Products’ portfolio. Our organization has implemented the products and services of Tally software across numerous sectors including manufacturing, trading and service sector. Tally is a renowned brand in the field of a business application software. Its products can be used in any business organization be it small, medium or large enterprise. The use of tally is not limited to any business structure and can be easily implemented to a proprietorship, NGO, PSU or a private organization. It’s quite flexible and easy to use. At Saraswati Accountants, we believe in optimum utilization of our resources and expansion of our business prospects. Being Tally’s authorized institute of learning we have a huge goodwill for providing comprehensive training for Tally Software. Our scope is not only limited to this as we also conduct training sessions for acquainting students on accounting fundamentals, Taxation, sales, personality development and various other computer/Non- computer related modules. We offer a variety of courses such as Certificate Professional Accountants (CPA), Tally GURU & GST Law, Tally PRO & GST Law, MS Office, Tally ACE. 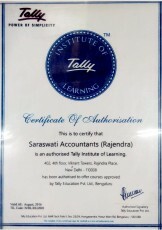 Since, we are an authorized Tally institute of Learning all the certificate programs are closely under the control and management of Tally Education Private Limited. At present, our academies and learning centers are situated at prime locations in the City of Delhi viz. Rajendra Place (Near Karol Bagh), South Extension and Budh Vihar (Near Rohini). A number of fresh graduates have pursued the available course modules at our learning centers and got immediate job opportunities in the field of accountancy, sales and support. Our Company is also into CSR projects and is running lot of skilling projects in the field of Tally and Accountancy. We have already trained more than 6000 students without any cost under the government sponsored skilling projects. We assure 100% job placement to our students which is completely free of cost through our 17,000+ client base. Saraswati Accountants Academy is designed in a manner which is safe, friendly, accessible where all students and community members may optimize their academic career development.Our mission is delivering a personalized quality education in a professional environment. As GST gave a boom to the financial sector, so our motto is to develop and groom students in such a manner so that they can become an asset for an organization. 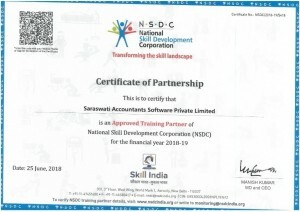 Saraswati Accountants is having a potential to see the Skills and talents of students which is invisible to others.According to one of our popular phrase,"Guru have the power to convert a stone into a diamond", same-way Saraswati's trainer proved it by giving the quality finance students to this Finance Sector. CA Manish Gupta is a renowned Chartered Accountant as well as a Cost Accountant. 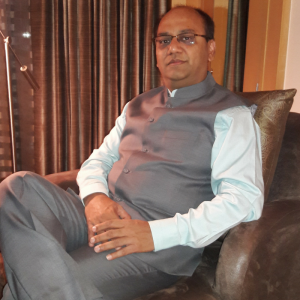 He graduated in the discipline of commerce in the year 1990 from Shri Ram College of Commerce, Delhi University. Presently, designated at the position of Chief Executive Officer (CEO) of Saraswati Accountants Software Pvt. Ltd, he is also the initial promoter of the company since 1999. His impactful directorship has facilitated Saraswati Accountants͛ to not only be considered as a name rather it has itself emerged into a brand. He still has an ambition to develop, grow, sustain and rather outperform in this competitive market by only focusing on the Quality services. Reliable and convenient working methods. Saraswati Accountants works in cooperation with the customers. More than 26000+ satisfied clients. 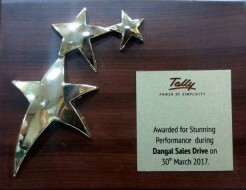 Saraswati Accountants was awarded for Stunning Performance during Dangal Sales Drive on 30th March 2017. Saraswati Accountants was awarded for Stunning Performance during Dangal Sales Drive on 23rd March 2017.